#MONEYSAVES is an initiative against cocaine abuse that invites people to write motivational messages on money bills, so those who are about to use it to snort the drug can read them and think twice. Our goal is to save one life. Just one. The more the better, of course, but if we save at least one person from drug abuse, our mission can be considered accomplished. 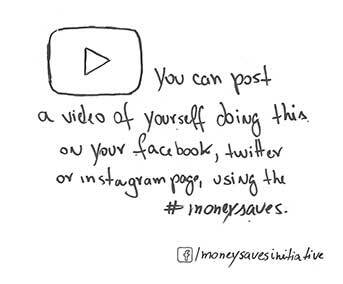 Write down on your money bill and let's show that #MONEYSAVES.